Simple, not convoluted reverb for iOS devices. The developer behind Reverberate and Filtrate has released a new convolution reverb processor on the iOS App Store. 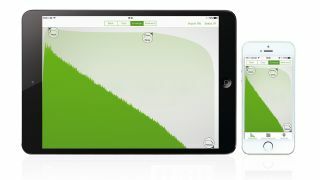 Operable on iPhone and iPad, Mobile Convolution can load up and import impulse responses, and can do its thing via Audiobus and Inter-app Audio. Users shouldn't expect the same high level of IR tweakability that comes as standard with the PC/Mac Reverberate, but the most important parameters are there. You can crop an impulse response, edit its envelope (attack, decay and release), stretch the whole profile and alter the dry/wet output levels separately. We're told that pre-delay is coming in a future update, and EQ is also on the roadmap. Impulse responses are loaded in WAV format, so you can use any existing files you have or import your own (via DropBox, Mail, etc). The app comes with a healthy selection of 50 true-stereo IRs to get you started, and there are no in-app purchases, keeping things nice and cynicism-free. Here's LiquidSonics' Matt Hill on what convolution reverb offers over a traditional, algorithmic one… "Versatility, really. There are so many IRs out there that sound so different. Also, no algorithmic reverbs on iOS in my opinion sound remotely like a Lexicon or Bricasti, and this is the closest people can get to really high quality reverb so far." Mobile Convolution is on the App Store now for £6.99 ($9.99). find out more about Reveberate on the LiquidSonics website.